Dualuse Design: kids can practice scoring goals or play games with their teammates on one side of the soccer goal. They can also use the reverse side for throwing and catching training. Material: Made by 21D polyester and waterproof fabric. 4 ground stakes, and 2 fiber poles makes it sturdy. Size: It's 44" x 31.5" x 31.5" when set up and folded compact into a carry case in 15.7" diameter. Dimension: Unfold: 40*31*31 How to use: Open the packaging and carefully to expand it. 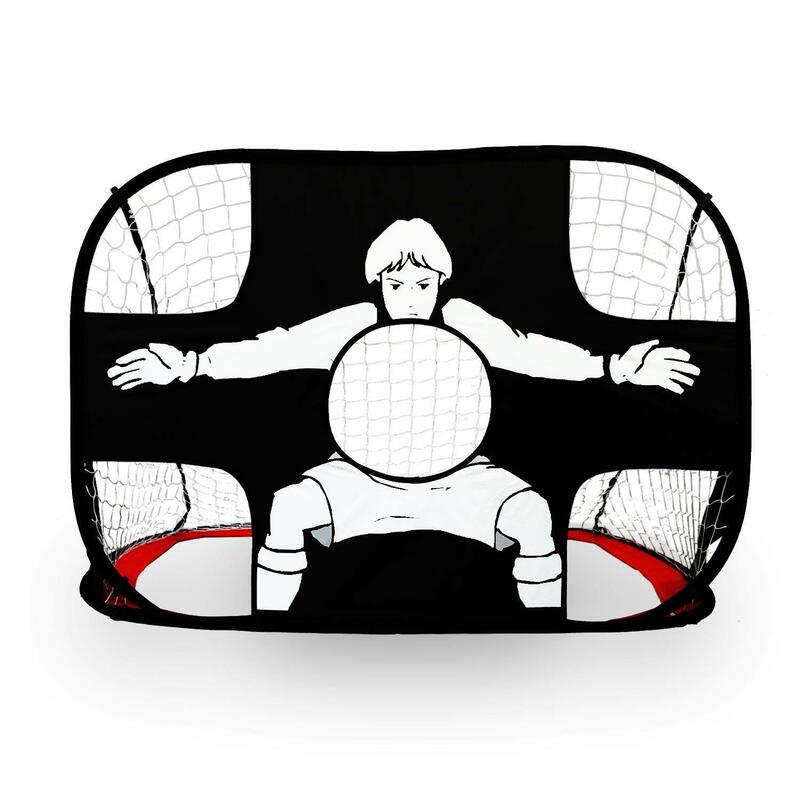 Note: the product will quickly bounce open Our product is the best choice for kids who love playing ball type sports, likes soccer, football, baseball or lacrosse. 2in1 multiusage design can satisfy you play multi games at both Indoor or Outdoor How to use: Open the packaging and carefully to expand it. Note: the product will quickly bounce open. Imported by US.